From dents and scratches, to broken panels and frame twisting, collision damage can take a lot of forms. Thankfully, for Upland residents, Leo’s collision center Upland employs the latest technologies available in bodywork repair to fix collision damage. When it comes to customer satisfaction, Leo’s collision center Upland provides full transparency over the assessment and repair processes, providing the client with constant updates and accurate cost estimates. Depending on the extent of the damage suffered by a vehicle, repair times may vary between a few hours up to a few days (for serious collisions). However, it is the purpose of Leo’s repair service unit staff to provide quick repairs without compromising the slightest on quality. After all, it is better to wait an extra day for your vehicle and receive it in great shape rather than get it sooner but not completely fixed. A complete collision repair ensures your vehicle won’t suddenly stop working when you most need it due to improper repairs. Finding a collision center Upland where you are actually paying just for the time the technician spends on your car is quite difficult. Leo’s collision center staff ensures you won’t pay even a penny more than the repair is worth. Employing experienced staff with advanced mechanical skills, your vehicle will benefit from proper repairs and not just cover-ups meant to take it until the first intersection. If you’ve managed to almost completely avoid an accident and got off with just a dent in the bodywork, chances are it may be possible to fix your fender, bumper or any other damaged element without removing or re-applying paint. 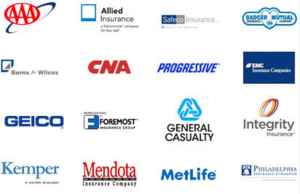 Leo’s collision center Upland works with all major insurance companies, ensuring a smooth repair process without the hassle of late or incomplete payments which would otherwise lead to delays in receiving your vehicle. All you actually need to do is to call your insurance broker, tell them you are working with Leo’s collision center to fix your vehicle and then bring your car over. If your car can’t be driven to our service unit, just give us a call and we will tow it over for free. A quick assessment will be done to estimate the amount of damage your vehicle has suffered, then an estimate finishing date is provided to the client. Also, you will constantly receive updates regarding the progress done on your vehicle, knowing somebody is actually working on your car and not just laying around.